Image Credit: Buckingham Palace, June 2, 1952. RBCM 971.1571.1a-b. The British royalty has been commemorated on pottery, glass and paper since the days of Charles II in the seventeenth century. In Queen Victoria’s reign commemorative souvenirs increased in popularity and were available to nearly everyone. 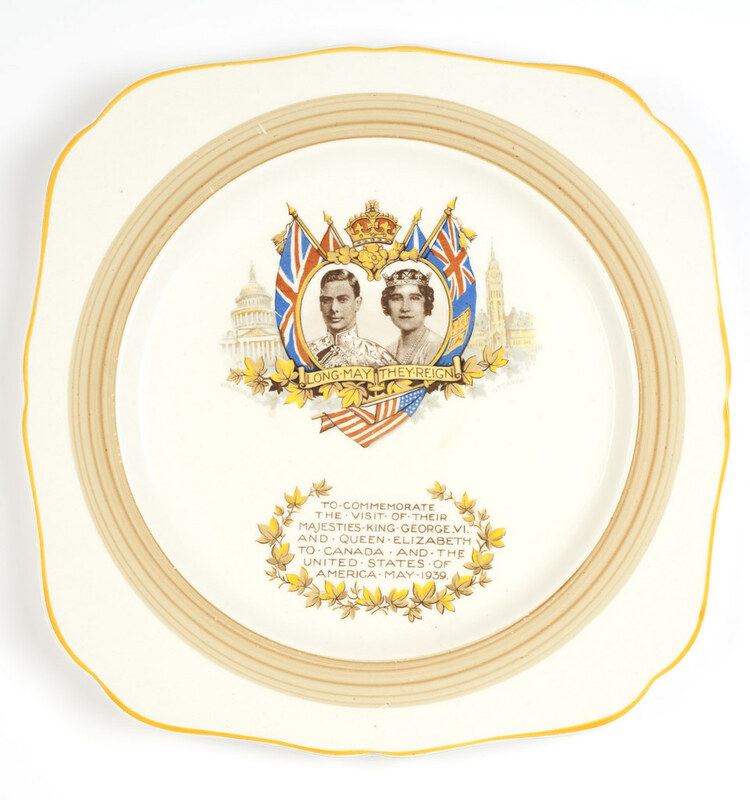 Capturing memories of events and people for later recollection and enjoyment, commemoratives relating to the royal family seem to have a special place in the hearts of many. Royal Worcester Ceramic. RBCM 2005.36.1.